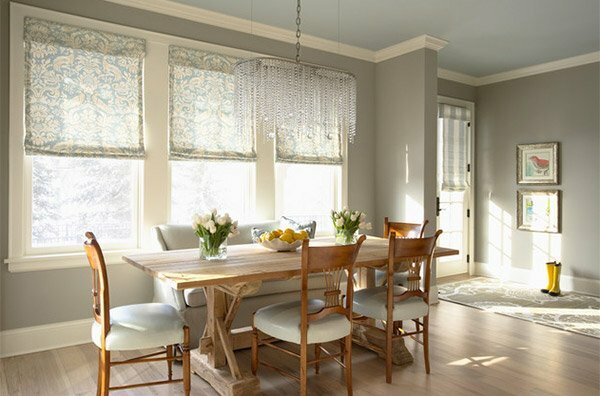 The gray wash finish of the flooring pulls together a farmhouse dining area of eclectic style. The wood plank storage bench, natural rug, antique lighting- all these worked perfectly well for this dining area! Farmhouse elegance! That is what you can see in this dining room. Check out the framed photos of trees on the wall which is a unique choice for a wall decor. A mixture of metal chairs, stainless table with wooden legs and fabric chairs on the end looked stunning for this contemporary farmhouse. You can see wood on the flooring, table and chairs but the rug did a good job in breaking up the wood. That Coca-Cola thingy on the corner is an interesting addition to this room! A home is designed with history farm setting and this is how it turned out! 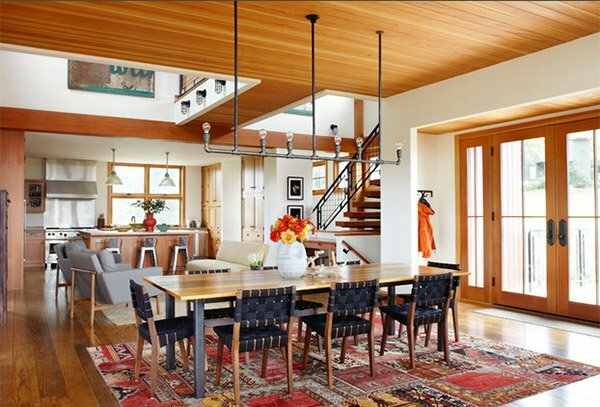 The dining area was defined with the quilt-like area rug. Coffered ceiling dining area lighted with Pillar Candle Round Large Chandelier that has natural-looking candles. The driftwood table and white chairs gave this area a farmhouse elegance. 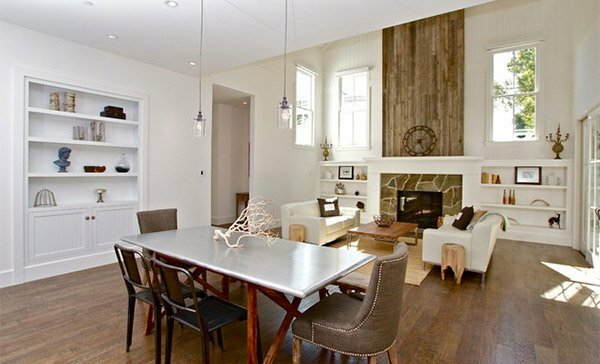 You know what completed the farmhouse look of this dining area? Yes, it is the customized iron chandelier! Totally fab! 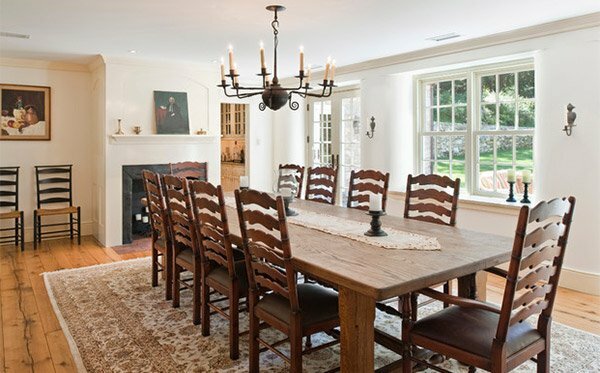 The table from Decor Pasadana created a spectacular farmhouse appeal for this dining area. 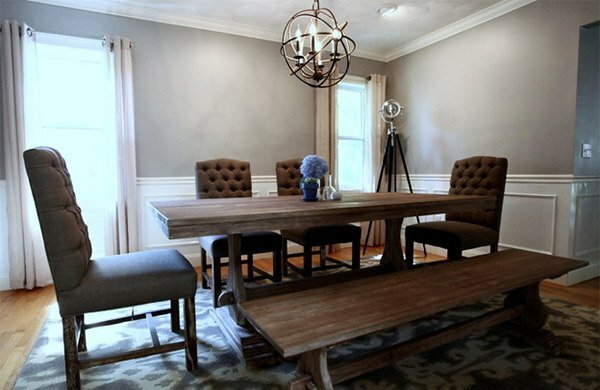 Tufted chairs paired with a pili table and bench pulled a farmhouse style. The round metal chandelier added some industrial touch to the space. Are you a green lover? 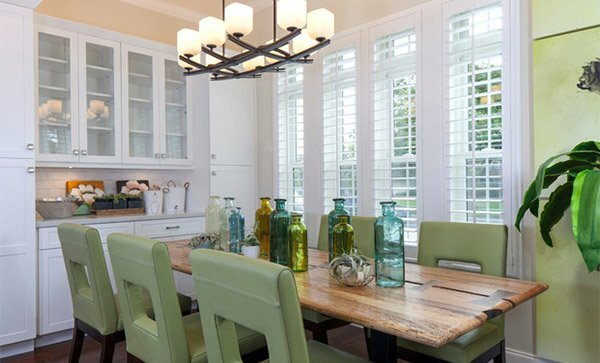 Take a look at this dining room with greens everywhere! 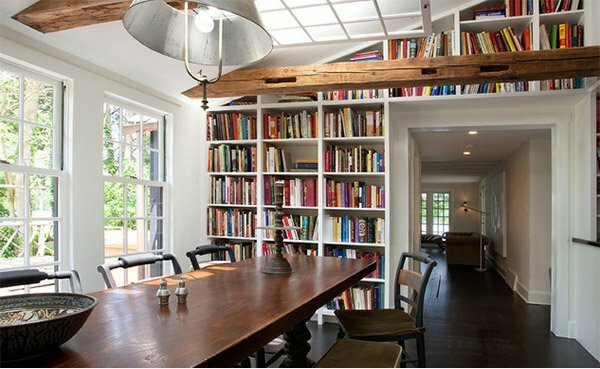 This dining area has built-in bookcases. Guess this area is doubled as a home library too! Lighting and dining set- all these looked totally farmhouse! The chairs on the ends are different from the chairs on the sides but these sure gave the dining area a stunning appeal. Let us also credit the centerpiece and lighting. 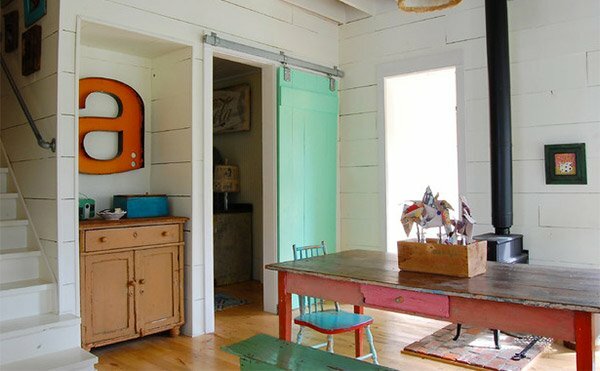 Who says a farmhouse can’t be colorful? Check out this shabby chic modern space with a pop of colors everywhere you look! What can you say about the above dining room designs? Well, if you think that a farmhouse looks boring and out of style, you are totally wrong! You can see that through the images you have seen above. 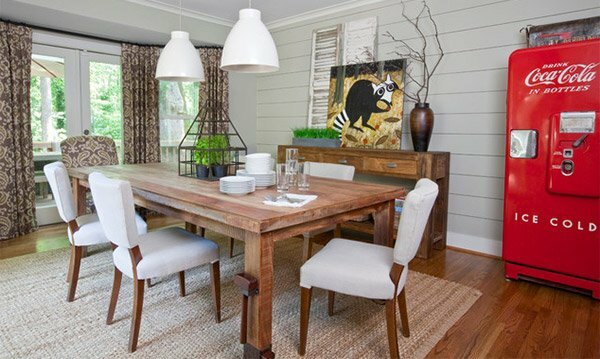 Even a dining room with a farmhouse style of decor and theme can still look stunning! 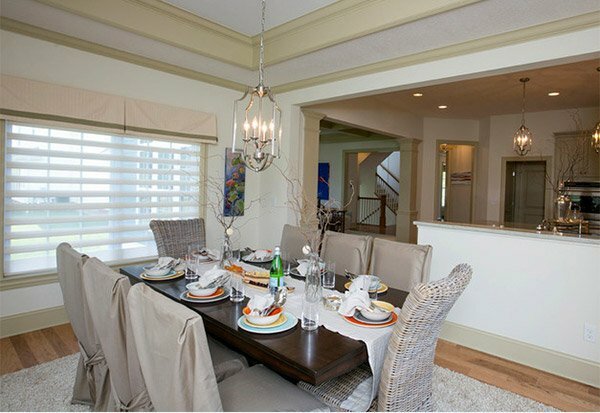 Want a different look for your dining room? 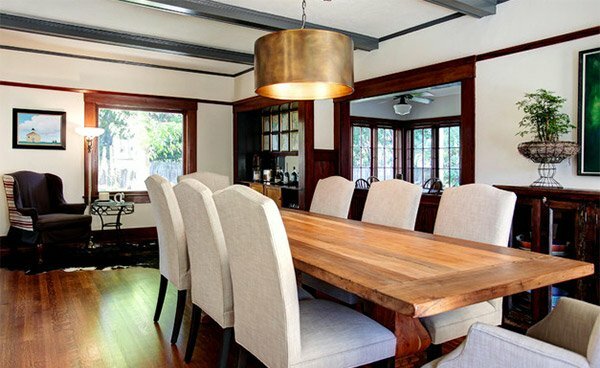 You can go for the extreme of a farmhouse look which is a luxurious dining room. Whatever you choose, do not forget to consider your budget, your space and your taste when choosing a dining room design. the colorful vintage is the only simple design for farmhouse dining set. I like the MIXED SELECTION,the dining set is classic. 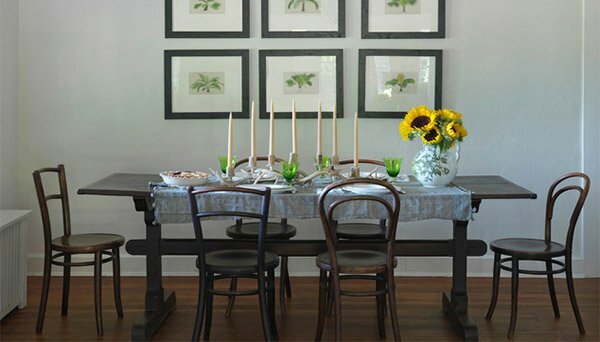 Elegant dining set for a farmhouse..except for the colorful vintage. the colorful vintage doesn’t complement to the above sample..it’s very simple and it doesn’t even looks like a dining table.